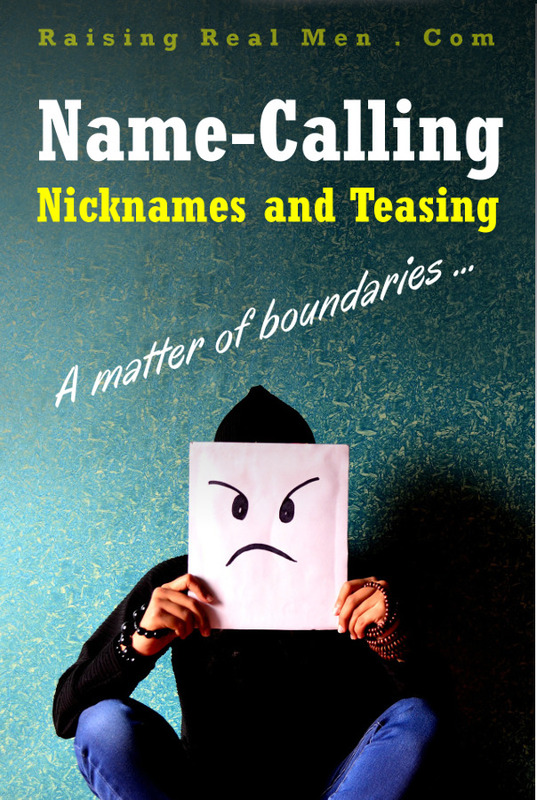 Name-calling and unkind teasing are a common part of childhood. At some time or another, we’ve all been picked on … or took cheap shots at somebody else. God takes it seriously and we should, too! Jesus made a point of how we speak to one another in the Sermon on the Mount (Matthew 5:22) And Proverbs 6:16-18 warns that “one who sows discord among brethren” is an abomination to God! Some people love to give nicknames to their friends. People close to President George W. Bush said it was a sign of affection if “Dubya” gave you a nickname. It’s common in team sports, common in the military, and common in families too. Names are important in the Bible – for example, God changed the name of Abram to Abraham, who became “Father of Nations.” (Genesis 17:5) Jacob (“the Supplanter,” always competing with his twin brother Esau) became Israel, meaning “God Prevails.” (Genesis 32:28). Of course, if you read the marginal notes in your Bible, you’ll find numerous examples of names which express truth about God – or characteristics of the person himself! Jesus gave nicknames to some of His disciples. We remember that when Andrew introduced his brother Simon to the Messiah, Jesus said, “You are Simon the son of John. You shall be called Cephas,” which means Peter (John 1:42 ESV). Jesus tagged James and John, “Sons of Thunder.” Nicknames can be a sign of friendship, respect, and love. But we have to draw a line at nicknames which are cruel or insulting – just like Jesus in Matthew 5. With five football players and a couple of weight-lifters in the house, you can believe we hear some “trash talking.” They proudly share their achievements in the gym, they rib each other about a missed tackle, or tease a brother as a goad to encourage him to work harder on the field. As long as there’s a spirit of fellowship and friendly competition, and nobody’s feelings are getting hurt, we tolerate a bit of masculine trash talk. That’s pretty typical “guy behavior,” even if it sounds rough to Mom’s ears. But we positively forbid bullying. When words become hateful, spiteful, hurtful and vicious, there it real harm being done. Just like our rule for rough-and-tumble play (link to blog article/podcast), if somebody says “Knock it off!” or “Hey, that’s enough,” then a boundary’s been reached – past that point, if it continues, someone is being a bully. God’s law said “You shall not curse the deaf, nor put a stumbling block in the way of the blind” – in other words, make fun of another’s handicap, hardship, or weakness, even when you think you can get away with it – “but shall fear your God.” (Leviticus 19:14) We’re repeatedly warned against speaking rudely of the poor (after all, “The LORD makes poor and makes rich,” 1 Samuel 2:7). But there’s a difference between unbiblical mocking and truthful discernment – we’ll talk about that next! 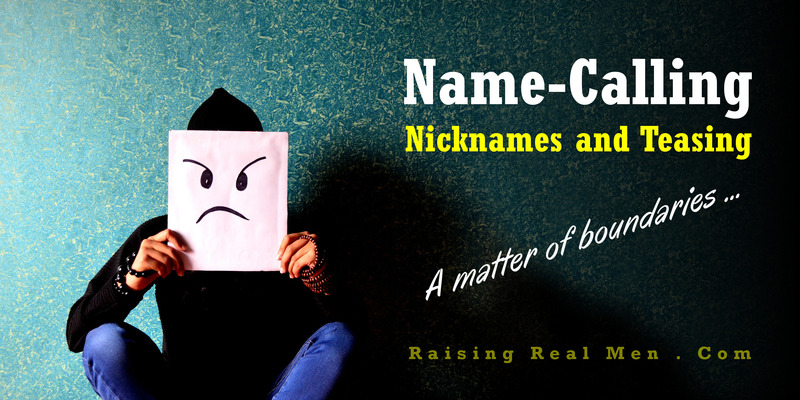 Part 1: Name-Calling – No Big Deal, or Big Deal? 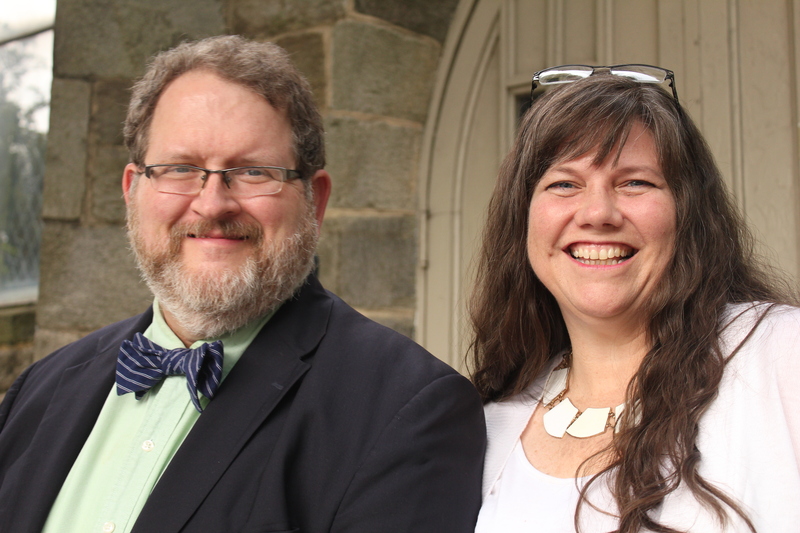 – Mondays at 9:00 Eastern and 24/7 in the archives!